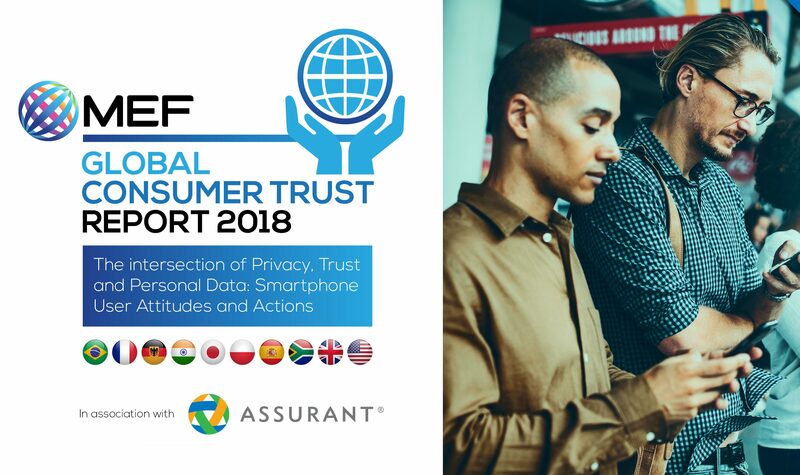 MEF’s 5th annual Global Consumer Trust Study launched last week and probes the attitudes of smartphone users across ten markets (Brazil, France, Germany, India, Japan, Poland, South Africa, Spain, United Kingdom and the U.S.) to provide insights into their views on smartphones, connected devices and related services as relates to trust, privacy and personal information. Co-author of the report Michael Becker talks about the study’s findings as a grand awakening. We’ve reached a tipping point. A grand awakening is unfolding throughout the world where people are realizing the extent to which their personal data and privacy are being compromised. This is instigating a wave of action by consumers to take action to protect their digital identity. The factors driving this awakening are brought to light in this year’s MEF Global Consumer Trust Report (2018). The study shows the Privacy Paradox, i.e., forgoing privacy and security for convenience and short-term value, is alive and well across the globe. 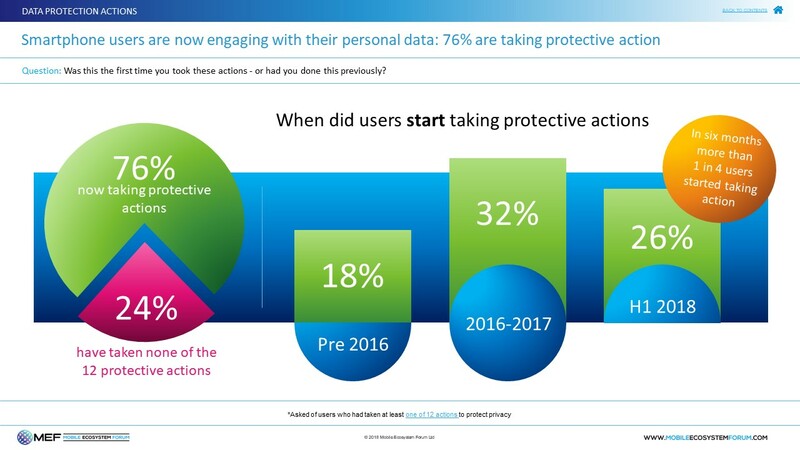 The majority (72 percent) of respondents fear for their privacy and 68 percent express concern for how their personal data is used by mobile apps and services. Yet only 7 percent have taken action to enact their rights. This could be due to the fact that most (63 percent) feel they have little knowledge, choice, or control over the collection and use of their personal information. That said, the report also reveals that, even though consumers are not specifically enacting their legal rights to their data, they are no longer sitting idle. 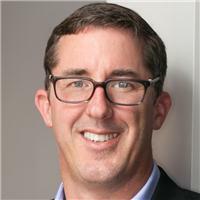 Manufacturers and service providers also should take heed that as negative headlines of data breaches occur more frequently, consumers are becoming more aware of how their data is being used and have less trust in online and mobile services. According to the study, 63 percent of people are willing to take data management on themselves. For those willing to manage their data, nearly half (43 percent) of respondents trust only themselves to do it. The problem throughout the industry right now is that the tools to empower people with the ability to control their identity and personal information are limited and tend to be hard to use. It is important for industry to provide these tools. As the MEF study shows, with more trust comes more willingness to exchange data, use mobile apps or services, and transact with organizations. It is paramount that industry and government leaders understand and respond to the insights in this report and related bodies of work. These factors, especially trust, will have a profound effect on the world’s economies and people’s reaction to commercial and government initiatives. The Boston Consulting Group (BCG, 2015) estimates identity and personal information management will unlock $1.15 trillion in value by 2020, with nearly two-thirds of this value directly benefiting people. However, BCG also suggests that if we don’t get trust right as much as two-thirds of this value could evaporate. To properly ensure trust, we need to come together to look for an identity nexus – a social and commercial equilibrium for the managing of identity and personal information. We must look to align with everyone’s common identity and personal information needs and goals, as well as appropriately respond when those elements become disjointed. Achieving the identity nexus is everyone’s responsibility. People should strive to take a more active role in the management of their own identity and personal information. Private and public institutions should attempt to engender trust through honest and transparent dealings, while ensuring that they safeguard and secure people’s most valuable asset: their identity and personal information. It is by working together that the world’s societies and economies will thrive.